Audi's appetite for new SUVs knows no limits: new Q4, Q6 and Q9 incoming! Thirteen years ago, Audi didn't have a single SUV in its line-up. That all changed in late 2005 with the launch of the Q7 seven-seater, and today Ingolstadt claims five crossovers in its line-up. SUVs and soft-roaders are seemingly the new automotive gold rush. It's not done there: a raft of additional Audi SUVs is under development as the company aims to blunderbuss even more bodystyles into its range - and we can confirm a trio of new badges, from Q4 to Q9. We have just driven the stylish Q8 range-topper, which follows what Audi perceives to be a coupe-style of SUV paved by the Q2. The trick will be repeated with the forthcoming Q4 and Q6, both due in 2019. They will abut the respective Q3 and Q5 crossovers, adding a lower roofline, more chiselled appearance and a more flamboyant character. The Q4 is aimed at the Range Rover Evoque set. It might seem the narrowest of niches, but the bean-counters and market researchers of Audi are convinced there is space for these iterative models. Seemingly, the public can't get enough of the taller, squarer crossover vibe - and these even-number models will add a degree more sporting expression to the odd numbers' practical focus. If you thought the Q8 was the pinnacle of Audi SUV-kind, think again. 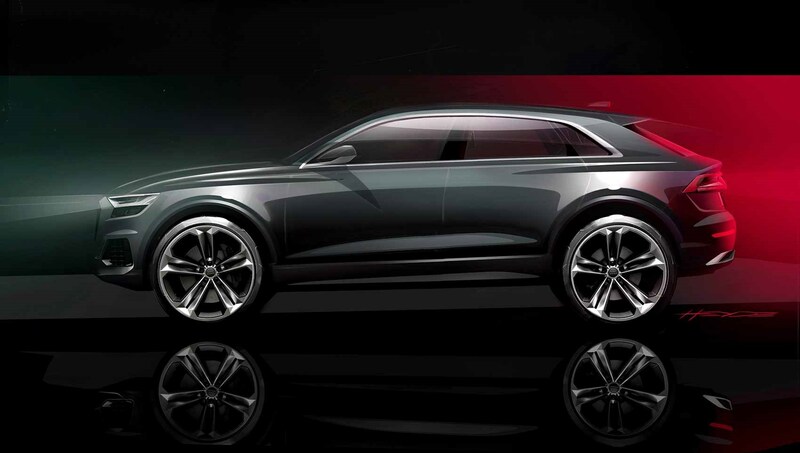 Next in line for rich country bumpkins and wealthy city slickers is the Q9 due in 2021 at the earliest. In essence this is a longer, larger and more luxurious Q7 aimed primarily at the US and Chinese markets. 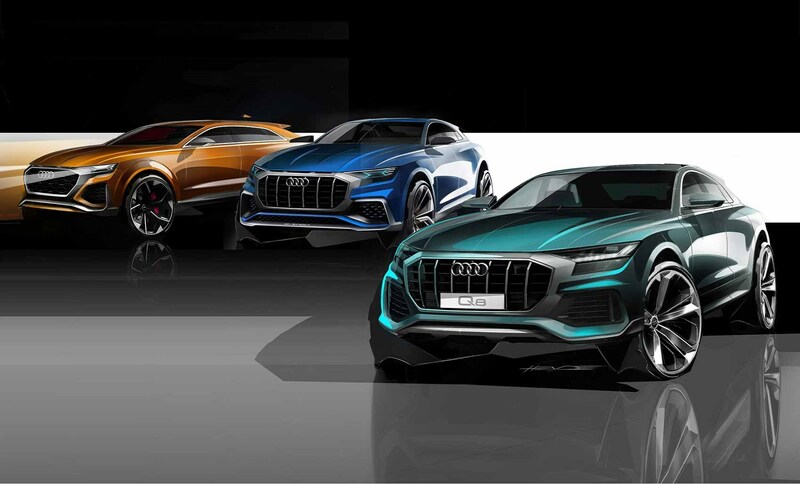 While Audi is working on a 600bhp Q8 RS and on an all-new fully electric SUV codeveloped with Porsche, the only green element inside the Q9 is an extra-cost plug-in hybrid. The launch of the Q9 ties in with the Q7 facelift.